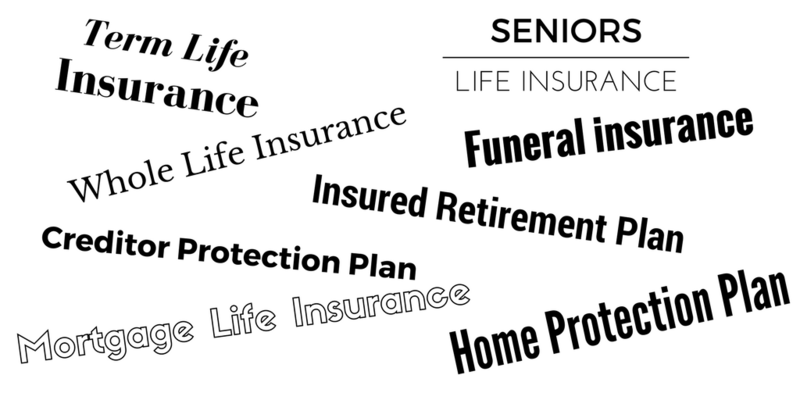 The insurance industry has become especially creative when it comes to the naming of various types and products of life insurance. The amount of insurance you contracted for with the original premium that the insurance company will pay to your beneficiary(s) when you die. The death benefit is the death benefit is the death benefit – no matter the type of insurance. If you contract for $500,000 (and your policy is active, that is, it is in good standing and paid up to date) and you die your beneficiary (s) will receive the death benefit no matter the type or product name of the insurance. As a matter of fact the beneficiary will most likely never ask nor care what product or type you purchased. The only real difference between all the varying types of insurance is simply how long you are covered and the cost of that coverage. Temporary or better known as ﻿﻿term life insurance﻿ provides coverage for a predetermined period of time. Most popular are 10, 20 and 30 year terms, however, many more options are now being offered by various insurance companies. You can now purchase 15, 25, 35, 40 year terms to suit your specific needs. You can purchase term to age 65, you can purchase any term after 10, for example 11 or 18 or 23 years, depending on your age at purchase. Your age at purchase will determine the maximum length of time that coverage would be available. For example, a 30 year old can purchase a 40 year term. However, a 50 year old cannot. Most term policies have a final end date at age 85. Do not confuse renewal dates with the expiry date. The expiry date is the FINAL date at which the policy terminates with NO opportunity to renew. These days, typically, that would be at age 85. However, this can vary from insurer to insurer. Older policies can have different expiry dates so make sure you know when your policy expires. Most insurance carriers offer the opportunity to automatically renew the policy at the end of the term with no medical evidence required. This means there is no requirement to answer any medical questions and your health is of no concern. The premium will increase according to a schedule that is recorded in your policy. The renewal is automatic unless YOU tell the insurance company that you no longer need the insurance. The insurance company cannot assume that you no longer need the insurance so you will have to pick up the phone and call your broker and most likely will have to put the cancellation in writing in order to cancel the policy. The automatic renewal feature on a Term Life Insurance plan is an option that the insured can take advantage of if they know there in no way they can qualify for insurance anymore due to failing health. If your health is still good and you decide you still want life insurance coverage at the end of the term you are much better off reapplying and going through the approval process again as your premiums will be significantly lower than the automatic renewal premium. The simplicity of the product and lower cost makes this ideal for Canadians with young children, or large debt, concerns about replacing income or for any other number of reasons. The longer the term the higher the cost. Why? Insurance is priced based on risk. The probability of death increases with time as we age. Therefore the longer the time span that we are covered the higher the risk the higher the cost. Premiums for term insurance are usually level (don’t change) for the timeframe chosen. They increase considerably on each renewal so dust off the policy and take a look at the scheduled increases. It is important when buying to try and choose a term that will be sufficient in length to cover the risk you are insuring yourself for. In other words if you are planning on working until a certain age or have a mortgage that runs for a certain length of time try to buy a Term Life Insurance policy that matches your need so you are not having to re-qualify and re-buy at an older age while you still have a need. Whether you choose to cover debt, mortgages, lines of credit, education costs, income replacement, savings ,(hence, all the interesting names for this type of product), term insurance can be a good solution, or just part of the solution. No one said you couldn’t create your own combination of plans and products to cover your situation. There is also another important feature in most Term Life policies. Term insurance policies are not just renewable but also convertible. You are given the opportunity to convert all or part of your term insurance to a permanent product without the need to provide evidence of insurability. The permanent insurance product has to be with the same insurer as your term insurance and the premium will be determined at the age you are when you decide you would like to convert. This privilege typically expires at age 70/71 but check your policy for the actual age. Like all features, they will vary from insurance company to insurance company. Lifetime coverage. Death risk 100%, therefore, different calculation for cost. There are a number of products in this category but the bottom line is lifetime coverage. Unfortunately the cost of these products has risen dramatically over the last 5 years. Low interest rate environment coupled with available investments to the insurance companies have them re-pricing these products to make them viable. New Government taxation legislation effective January 1st of 2017 just saw a new round of increases in premium from most insurers. Don’t be dissuaded there is still good value. Term to age 100 appropriately named, insures you to age 100. Lucky you if you get there. Generally there are no further payments required. The insurance is fully paid for. There are over 26,000 Canadians age 100 or over and Stats Canada expects that number to double in the next few years. Wow, think on that when you’re buying term for 20 years. As far as permanent insurance goes, this is the least costly product. Premiums are level and guaranteed. Some older products may have contained some cash but generally these products are pure insurance. If you like the idea of some cash accumulation with your insurance then read on. Whole life insurance is the most traditional and was the first type of permanent insurance offered. The death benefit or face amount is established when the policy is purchased and will remain fixed lifetime as long as the premiums are being paid. Premiums are also established when the policy is purchased and will remain level (fixed) for the duration that was contracted for. If you purchased life pay then you will pay lifetime. If you contracted for a “limited pay” product then you will only pay for that period of time. For example, “Limited 20 pay”, means that the policy is fully paid for in year 20. “Limited pay to age 65” as implied means you have fully paid for the policy at age 65. In both cases there are no further premiums required and you are insured until death. Whole life insurance policies are either non-participating (non-PAR) OR participating (PAR). Both types provide an insurance component and a savings component, known as the “cash value”. The cash value of the policy is usually guaranteed and accumulates throughout the life of the policy. The schedule of guaranteed cash values is included in your policy and forms an integral part of your contract. There is no mystery here. Check your policy and the schedule, your age or policy year, and you will find the contractually guaranteed cash value accordingly. You will notice that it takes a few years to actually accumulate any cash value at all. Without getting into lengthy detail, it takes the insurance company time to grow a reserve that they can then “give back” to the policy owner in the form of cash value. In addition to the guaranteed cash values, a participating whole life insurance policy has dividends. The policy owner participates or shares in the surplus of the insurance carrier through the receipt of dividends. The board of directors approves the dividend that will be distributed amongst the policy holders for that year. There is no guarantee that a dividend will be paid or the level of the dividend but historically it has been paid every year. The amount of the dividend in recent years has been lower as insurance companies struggle to support a level of investment income that offsets their expenses. (Topic for another day). Participating whole life insurance is more expensive than non-participating whole life insurance. 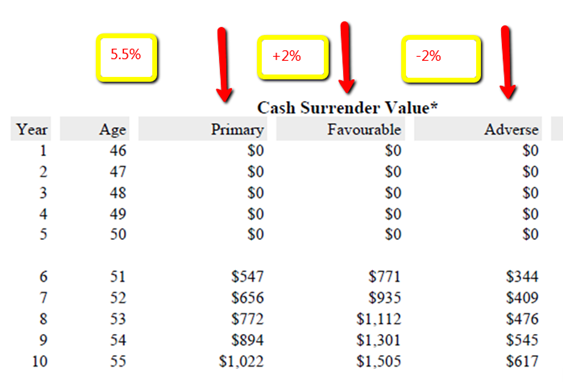 The dividend paid in addition to the guaranteed cash values can have a tremendous impact overall. When you purchase the PAR Whole life policy you have to decide at that time what you want your dividend to do. Most common is to allow the dividend to purchase additional paid up units of life insurance. This option actually increases the death benefit or face value of the policy. You can have your dividend purchase a term insurance rider that is attached to the policy. This will also increase your death benefit or face amount. You can ask for your dividend in cash. You can direct your dividend to pay or reduce your premium. The dividend option you choose will impact your policy. Talk to an expert, we can explain the various dividend options as they cannot be changed once the policy has been issued. ﻿﻿Universal Life﻿﻿﻿﻿﻿﻿ Insurance﻿ was introduced in the 1980’s and was a way for the insurance companies to participate in the growing popularity of mutual funds. Consumers were becoming interested in managing their own investments and traditional whole life insurance did not meet the need; hence, a new type of policy was created – Universal Life. Universal Life is a permanent product that offers a unique combination of insurance and investment. The design of the policy provides choices within various components. The flexibility allowed requires active management and a good understanding of this type of policy. So what are the components? Firstly, you must choose the amount of permanent insurance you would like to have. That is, the Death benefit or face amount is chosen by you, just like all the other insurance products. You can choose either a level cost for the death benefit with a higher premium at the outset but level for life or a yearly/annual renewable term with a premium that increases every year with age. You can then choose to pay the minimum cost of that insurance (if you choose level cost) OR you can contribute or deposit more than necessary to cover the cost of the insurance. Any amounts in excess of the cost (and fees) can be placed in a number of different investments offered by the insurance company. This is the second component. The type of investment options usually include fixed-interest options, funds, equity funds, bond funds, index options, etc. These will vary quite a bit in scope and performance from one insurance company to the next. Through the management of these investments you have the opportunity to increase the accumulated funds within the policy on a tax deferred basis. Like all investments they can increase in value but also decline in value. Therefore you must pay attention to the statements you receive on a regular basis. Third component are expenses that include monthly administration fees and possibly transaction fees. The ability to increase or decrease the premium (within limits), to choose and monitor your own investments, to grow the death benefit with the accumulated funds, makes this type of policy very attractive. However, if you do not like to manage your own investments, are confused by the thirty page statement that arrives annually, and do not know the difference between level premium and level cost – this may not be the product for you. On the other hand if you are intrigued by all the moving components then discus your options with an insurance expert. If you are looking to leave money behind to your spouse, children, charities, any kind of estate planning, final expenses, to cover capital gains, or just plain don’t like paying for something and getting nothing back, then some part of your financial plan must include permanent life insurance. For most of us, some combination of term life insurance and permanent life insurance will satisfy the need for protection and work with our budget. You should be having this discussion, preferably with an insurance professional and not your neighbour. All good intentions aside, most people simply don’t have enough understanding of the scope and depth of product, not to mention all the additional features available to offer advice. Universal Life Insurance is a type of permanent life insurance. It was created in the early 1980’s to take advantage of the rising trend of consumers’ interest in managing their own investments. No insurance product up until this point allowed for an active role for the consumer. Most types of life insurance were (and still are) passive; Once purchased, they are reasonably straightforward and require little ongoing management. Universal life, on the other hand, includes many moving components that provide choice and must be actively managed. Death Benefit/Face Amount: Common to all insurance products, you, the consumer chooses the amount of insurance you want to purchase. However, you must choose at the time of purchase whether you want yearly/annual (YRT/ART) adjustable term rates OR level cost rates. This is the cost of your life insurance (mortality charge). Either you will have an increasing cost every year based on age (the schedule is in the policy – not for the feint of heart) OR you will pay a higher but constant rate throughout the policy’s life – level cost. Or you can start with renewable term and switch to level cost at a later date that is predetermined, for example age 85 OR some policies allow you to choose the year/age when you want to switch . The choice must be made with care; if you start with low YRT/ART rates your cost will be low initially but escalate as you age whereas the level cost is higher but locked in at that time of purchase.You must also choose the “death benefit option”. This will determine the actual amount the insurance company pays out at as a claim. If you choose “LEVEL FACE” then your beneficiary gets the amount you contracted for, that is, the death benefit/face amount. If you choose “LEVEL FACE PLUS DEPOSITS” then your beneficiary will receive the death benefit/face amount PLUS gross deposits made into the plan. If you choose “LEVEL FACE PLUS ACCOUNT VALUE” then your beneficiary receives the death benefit/face amount PLUS the value held within the policy account. (See below under investments. Expenses: these are policy related and include monthly administration fees and most likely transaction fees (see below under investments) and sales charges and will differ among the various insurance companies. These remain usually fixed and in addition the minimum premium includes the provincial tax applicable in each province. Investments: This is where you take control and why this product was created in the first place. Deposits into the policy can build a pool of savings in the account, called the account value or the accumulation fund. Universal Life policies provide you with a range of options for investment. Usually, fixed-interest options such as guaranteed term deposits, or simple savings accounts , as well as equity and indexed options are available. Certainly different carriers have different options, and like all investments careful selection based on management and performance should be considered. Like all investments, your personal risk tolerance and return expectations must be considered. Pay attention to any minimum guarantees in the policy. Older policies have some nice guarantees contractually built in. Newer policies tend to have none. It is important to understand that the investment portion is completely optional. If you choose to set your premium to cover the basic mortality and expense charges then you will simply have a permanent policy. If you choose to contribute over and above the minimum charge then you select where you would like the additional money to go – the investment portion. You can change or stop this additional amount at any time. This flexibility is what makes this product so unique. The investments grow tax deferred inside the policy. Active management of your investments inside the universal life policy is as important as managing any of your regular investments. You can request monthly statements, quarterly, semi or annual depending on your preference from most insurers. As your investments grow you should build up cash value. You have access to this cash at any time. Before removing cash from your policy you must understand that in the early years of the life policy there are substantial charges for the insurance company. These expenses have to be recovered and are quite high in the early years and diminish to zero over time. There is a schedule of surrender charges inside the policy contract. Different insurance companies have different schedules but most decline to zero between year six and ten. Therefore your cash surrender value is your cash value LESS any surrender charges (and any loans if you’ve borrowed from the policy). If you are not sure check your last statement. It will be listed there. Insurance companies are striving to make these statements easier to understand. Under a Universal Life policy you must cover the minimum cost of the insurance (mortality and expenses) in order for your policy to remain in force. A policy owner that only contributes the minimum cost will not build up any cash value. Without cash value a missed premium could result in the loss of the insurance coverage. For those plans that have a good build up of cash value the minimum cost of the insurance can be removed from the accumulating (cash) account without additional deposits. Money in the accumulating account can be removed, borrowed against, used as collateral, and used to offset the cost of the minimum insurance. There is also a maximum deposit allowable. The formula is defined in the Income Tax Act. If the maximum is exceeded, the policy will lose its tax status as “exempt” and may be taxed as an investment. Most insurance companies have mechanisms to make sure that this will not be the case. A policy illustration is designed based on assumptions. If you are contributing additional deposits to be invested then you need to pay attention to the illustrated rate of return – especially if you have chosen a variable cost of insurance (YRT/ART). Why? The rate of return will determine the growth of your deposits necessary to pay for the rising cost of insurance. If you do not achieve the illustrated growth then you may end up having to pay additional sums of money in later years in order to meet the minimum requirements and not have your policy lapse. All illustrations usually use an assumed rate and show an alternate scenario with a lower rate. The alternate must meet your minimum cost and it needs to be illustrated at a rate of return that is reasonable. If you choose a level cost of insurance then you already know what your minimum cost is throughout your policy. If you contribute additional deposits for investment then your illustrated rate and alternate rate will only demonstrate how much money you will accumulate with time. Reality check is when you receive your statements. Actual performance results can differ from the assumptions made. You may choose to increase, decrease, or stop additional deposits. Any changes will affect the financial performance of your plan, therefore, it is imperative that you continually manage the plan. Same example as above: primary projected rate of return is 5.5%. The alternate (favourable) will show +2% (7.5%) and negative (adverse) -2% (3.5%). Witness the difference in cash surrender value. Who should buy this plan?? Anyone that needs life insurance and is looking to purchase a permanent plan. The flexibility to add additional funds if needed, is an excellent option as people’s lives change. If you’ve maxed out on RRSP’s or employer pension plans, TFSA’s, etc. and like the idea of insurance AND additional money growth that is tax deferred, then this product is an excellent choice. The growth can help supplement retirement income, fund your children’s education, start a business, or any other financial goals you may have. This product is especially appealing to business owners for insurance, pension building, wealth accumulation, and tax minimization strategies. Anyone more willing to make and control their own investment decisions and take on the risk. Anyone that requires more flexibility with designing their own plan. Cost oriented people that prefer to see the “unbundling” of the cost of insurance, expenses, and investment performance. Anyone with a “buy term and invest the rest” mentality – that is the UL policy in a nutshell. Money over and above the cost of the term (either you will have a variable term cost or a level to age 100 term cost or some combination of the two) but the rest (“additional money”) can be invested in a tax deferred environment. Anyone planning for their estate. If you want to leave money to family, charity, church, then you must buy permanent life insurance as opposed to term. The need for permanent insurance fulfills the requirement to leave funds on death for estate taxes, probate fees, capital gains, final expenses, etc. Universal life is a great permanent life insurance plan that combines life insurance protection with a tax deferred savings/investment account. The flexibility built into the plan makes it suitable for anyone needing life insurance protection that wants a plan tailored to their own needs.